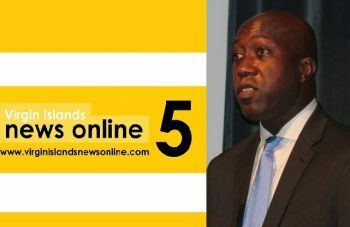 You are here: Virgin Islands News Online » News » Public questions Myron V. Walwyn’s obsession with John E. Leonard! Public questions Myron V. Walwyn’s obsession with John E. Leonard! ROAD TOWN, Tortola, VI- We the people of the Virgin Islands have been familiar with the narrative from Hon Myron V. Walwyn for the past three years. His sick and erroneous attacks on our news site go like this: "Virgin Islands News Online has no staff; and our former Marketing Manager John E. Leonard does not exist, so there is someone hiding behind the news site". We heard the script yet again in the House of Assembly on Thursday March 12, 2015 in Hon Myron V. Walwyn’s usual angry and personal attack against locals, foreigners, businesses, and persons he deems to not support his childish behaviour and regressive polices, as well as his reported history of victimisation and bullish style. Mr Walwyn has spent three long years plus doing nothing for education, doing nothing for the improvement of the quality of life for ordinary residents, but instead has used his time in the House of Assembly at each sitting to be critical of one news site. Added to that, he seems to have a love affair with the Advance Marketing and Professional Services’ former Marketing Manager, John E. Leonard. 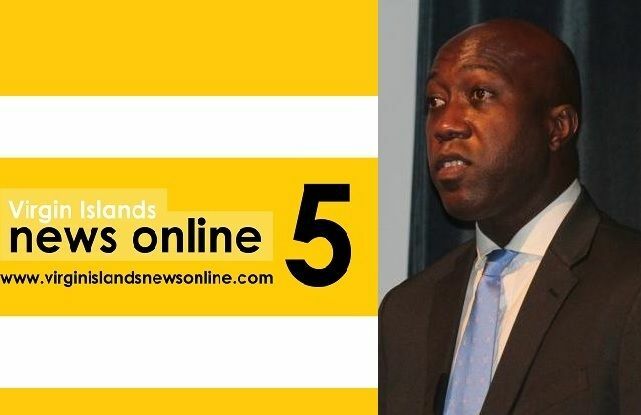 It's interesting that a now former employee operating from overseas, who Mr Walwyn has not even met, could generate so much attention and cause the rookie Government Minister to use all his time since taking office to attack Virgin Islands News Online (VINO) while not working on the high crime rate in the Virgin Islands, not working on raising the minimum wages to help the working poor, not contributing to finding employment for youth in the Territory-something he promised them during his campaign, not using his time to improve education and access to scholarships, and not trying to improve literacy and the physical infrastructure of schools. Instead, for three long years, all we got from Mr Walwyn were some nasty rants about a news site and its staff. What the people must guard against, with the likes of Mr Walwyn, is when we reach the critical point where elected members have no regard for our constitution and ignore the rule of law and snub democratic conventions. Mr Walwyn’s three years of using his time in the House of Assembly to go after Virgin Islands News Online and ignoring the real needs of the people can only be described as the practice of politics without principles and exercising his power without morality. As the next election dawns, Mr Walwyn has become even more erratic, unstatesmanlike, cavalier and crude to the extent that he is insulting people he has never met. There are also recurring questions of his legitimacy to even be in the House of Assembly; however, we will leave that for another time. Every opportunity Mr Walwyn gets he uses it to engage in divisive politics in what seems to be a desperate attempt to be re-elected and to get at John E. Leonard. 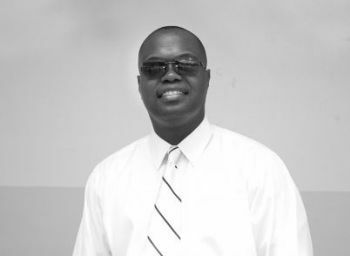 Advance Marketing and Professional Services calls on all men and women who love democracy to take a stand to rescue the Virgin Islands from unscrupulous people like Myron V. Walwyn who has failed the people in his three years in office. We long for the good old days when men and women like H. L. Stoutt, Terrance B. Lettsome, Ethlyn Smith and Willard Wheatley, who were committed to good governance for the benefit of our people and not self-aggrandisement, could take up seats in the HoA. John is out! Willock in! But now that Mr Leonard is no longer with VINO’s parent company Advance Marketing and Professional Services, as we were transparent in announcing last week, our esteemed Chairman Mr Julian Willock is taking on some of his marketing duties until someone is recruited. We now call on Mr Walwyn to stop finding excuses to hide behind Mr Leonard. We are proud of the wonderful contributions made by VINO to the community as we hear it every day from our many readers, advertisers and well-wishers from both sides of the political aisle. We will continue to uphold the principles of good and professional journalism and will continue to be the trusted source in the Virgin Islands and the Region for accurate information. We will not allow irrelevant and desperate devils like Myron V. Walwyn, whose only goal is to hold on to power at all cost, to get in the way of this extraordinary movement for good factual information. stop allowing this dude to pull your-strings !!!!! i agree as this dude m w is not even in julian's class....why ayo even wasting ink on this fool eh? VINO please stop paying attention to that ball head stupid man his problem is that he is power hungry he want to run the country I hope the voters see him for what he is and get him out of this country politics. If mvw thinks jw is one of dem lacky in his ministry barry say you well hear!! Please note the word "bald"- a person having no hair or very little hair on the head. Mr. Walwyn had the courage to do what minsters before him did not want to do. Change is a good. It is not like AMPS is saying anything that the entire country didn't know already. I am not even sure why them bother to even respond to that crazy man. Myron please sit to the back of the class until you lean to read and write!!! Deafening silence on the other news site to VINO excellent and deep response. Wonder why. B.V.I. electorates should be blamed for electing Myron Walwyn in the first place. He was not vetted properly by the chief election officer and Virgin Islands Party slept and he pass through the door. Now we have a man who was not qualify in the first place to run for political office in the B.V.I. Now he can say whatever he wants. However, the voters have a responsibility to ensure that the same mistake is not repeated in the next election. mvw sounds so stupid with he rant, the HOA is an embarrassing place I stop watching it as its just ah bunch of little kids running that show!! yeah MYRON go back under your rock, vino is the best NEWS SITE so far, the reporters are amazing! Myron and Mark are a hopelessly lost cause for real. They attack VINO always… Hitler and Castro used these same tactics. Dangerous politics and a sure fire way to ensure the complete demise of the NDP. my money on the esteem one! I love your cartoon vino you are the best!! !